Karin Hurt helps leaders around the world achieve breakthrough results, without losing their soul. A former Verizon Wireless executive, she has over two decades of experience in sales, customer service, and HR. She was recently named on Inc's list of 100 Great Leadership Speakers, AMA's 50 Leaders to Watch in 2015, & Top Thought Leader in Trust by Trust Across America. She’s the author of 2 books: Winning Well: A Manager's Guide to Getting Results-Without Losing Your Soul and Overcoming an Imperfect Boss. Internationally recognized keynote speakers, and award Winning Authors of Winning Well: A Managers Guide to Getting Results-- Without Losing Your Soul. Karin Hurt and David Dye help leaders around the world achieve breakthrough results without losing their soul. They are the award-winning authors of Winning Well: A Manager’s Guide to Getting Results Without Losing Your Soul. Karin is a top leadership consultant and CEO of Let’s Grow Leaders. 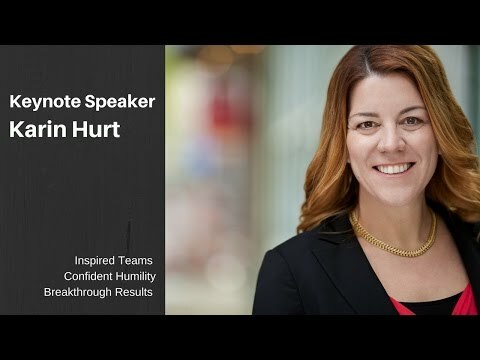 A former Verizon Wireless executive with two decades of experience in sales, customer service, and HR, she was named to Inc. Magazine’s list of great leadership speakers. David Dye served as CEO of the UpLIFT Group, as an elected official, and is president of Let’s Grow Leaders. 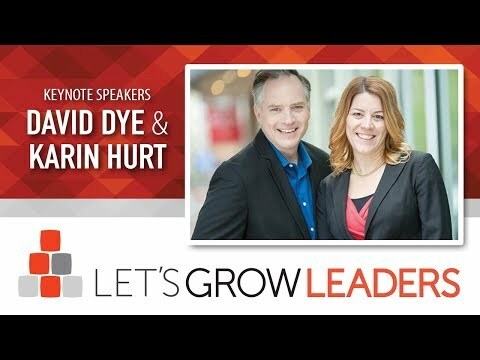 Karin and David are sought after leadership speakers who believe everyone can master the essentials of influence. They inspire audiences and corporate leaders with practical leadership inspiration you can use right away.